Living in a city, particularly London has lots of advantages. It means that you’re in walking distance to lots of cultural and artistic attractions, and can enjoy the lively atmosphere around you. However, when it comes to moving, things can be a little more difficult if you live in the city. Many people who live in a central location rely on public transport and might not even know how to drive, and so they’ll need help on their moving day. 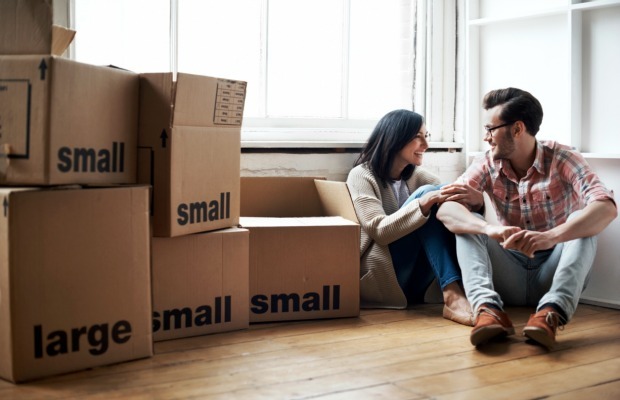 There can also be other things to consider when you make a move, whether it’s down the road or to a new city, and so here are a few tips to organise your move. Planning is the key to a successful move, so as soon as you know where you’re going to move, start making a moving plan. This could include a countdown to the big day which will include things like having the utilities switched over and mail re-directed. Whether you live in the City of London or in the suburbs, there will be similar things to do, and the sooner you start planning the easier things will be. If you’re unsure about anything, ask the building manager or your letting agent. They’ll be able to tell you about the terms and conditions of your lease, and might have some handy hints to make things easier. Parking is one of the biggest issues when moving in a city. It can be difficult to get a moving van close to the building, and if you have an assigned space it might only be suitable for a car. You might have to look at options such as hiring a smaller van and doing things in two trips, or getting extra help to move things to the removal van. If you live on a busy street, it might be worth asking the neighbours to move their cars on moving day. You could then put some cones in the street to save space for the van, so they have somewhere to park. Check with your local council first to see if this is allowed. It’s important to use a removal firm who know the area well, as this will mean they have experience of navigating the busy streets, and will know what they’re up against. You should look for London removals firms when moving in the capital, as they’ll know all about the area, and can give you tailored advice. Many people choose to move house on a Saturday, as they then have the weekend to unpack, but this can be an awkward day to move. Your neighbours will probably be at home, meaning parking can be limited, and you might find yourself stuck in traffic with shoppers and tourists descending into the city centre. If possible, consider taking some annual leave so you can move mid-week. It’s nice to have a couple of days off to enjoy your new house, and can move at a quieter time. Just make sure you avoid the rush hour times in the morning and afternoon. It can also be cheaper to move midweek, with many removal firms offering better prices during this time. Those who have lived in places like London for a long time will no doubt have moved around a lot, and will have moving down to a fine art. However, if it’s your first move, then it’s important to get organised and think about any obstacles, and how you can simplify things. Before you move to a new area of a city, even if it’s down the road, it’s worth taking some time to get to know the place. Wander around your new building and you’ll be able to see how easy or difficult the move will be, and this means you can start to come up with a plan. It’s also a good time to scope out which restaurants, takeaways, and pubs are nearby, as this will come in useful once you’re moved in. If you know anyone in the area, talk to them about their moving experience, as they’ll no doubt be a wealth of information. You might find that bigger city councils can take longer to process things such as calculating your council tax. That’s why those who live in a city know to send things in sooner, and to notify the council of their move as soon as possible. Most letting or estate agents will have information about the different requirements in different areas of London, so give them a call if you’re unsure. Whether you’re moving to a new London home or out of the city completely, the moving process can be quite different to the smaller towns. It’s often worth leaving things to the professionals, as they’ll be able to pack everything up and get you moved so much more easily, without you having to worry about navigating staircases and elevators. You can then relax and look forward to exploring the new area of the city, with all the exciting things to see and do within walking distance, and enjoy your new place to live at the heart of the action.